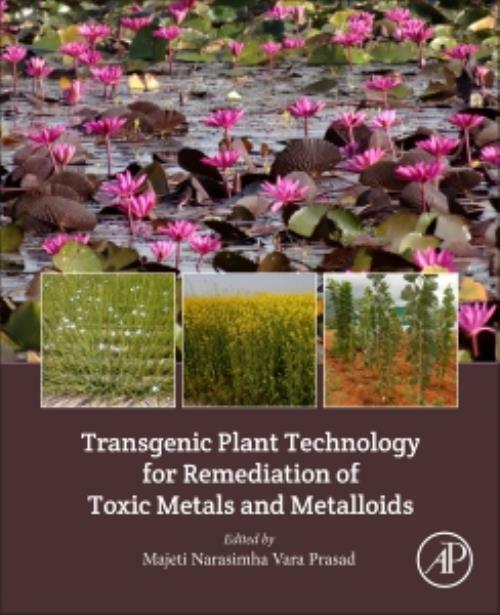 Transgenic Plant Technology for Remediation of Toxic Metals and Metalloids covers all the technical aspects of gene transfer, from molecular methods, to field performance using a wide range of plants and diverse abiotic stress factors. It describes methodologies that are well established as a key resource for researchers, as well as a tool for training technicians and students. This book is an essential reference for those in the plant sciences, forestry, agriculture, microbiology, environmental biology and plant biotechnology, and those using transgenic plant models in such areas as molecular and cell biology, developmental biology, stress physiology and phytoremediation. Dr Prasad is an Emeritus Professor in the School of Life Sciences at the University of Hyderabad. He has served the Ministry of Environment, Forests and Climate Change, Government of India in various advisory committees on biodiversity conservation, ecosystem services, pollution control and abatement, environmental information systems and bioremediation of contaminated sites. He is an active visiting scientist in several international universities. He is the editor, co-editor, or author of 17 books published by leading international publishers and 190 journal articles and 118 book chapters/conference proceedings. He has made outstanding contributions to the fields of Bioremediation, Bioresources, Biomass energy sources, bioeconomy and to the broad field of environmental biotechnology (including value chain and value addition products from plants used in phytoremediation) all of which are his main areas of expertise.